One of the rapid and bewildered growth during the 18th century was of the British drama and theatres. The growth was not only seen in the size of theatres but it was also visible in terms of entertainment, audience and the number of theatres. When theatres began it was just a time pass for the wealthy audiences, but with the emergence of time, theatres were now becoming more popular as a source of entertainment for all. Theatres now were not only places for audiences, it rather became a medium for socializing and getting new gossips and news. Regardless of your social class, it became a place to be visited. Various forms of entertainment were offered apart from plays like ballets, tightrope-walkers, and acrobats. Initially, the population of London was just around five million people which rose to nine million people in a span of 100 years. Many people migrated to nearby towns and cities in search of better opportunities. This led to the young generation to seek for more entertainment and which was provided to them by theatres and all those were part of it. 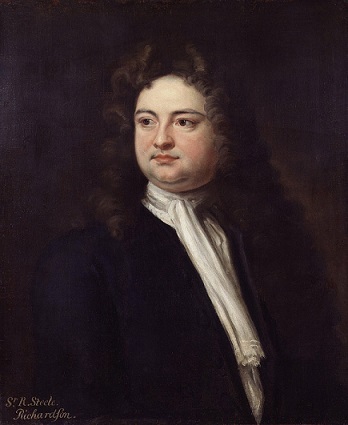 At the beginning of the century, only two theatre companies were granted by Charles II in London which were “Theatre Royal Drury Lane” in the West end and ” Lincoln Inn Fields” in the East. They were also known as “Patent Theatre” as they were allotted by the Royal Family which was dated 40 years before the Restoration. 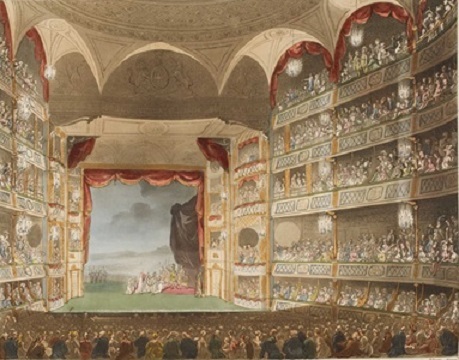 This was in addition to the extension to Drury Lane and Lincoln’s Inn Field which now means their audience capacity has increased to three thousand audiences for each play. In previous times, many boxes were kept alongside the stage. The forestage was kept quite large. With an increase in audience, the forestage was now made shorter and was pushed back to the proscenium arch. The Orchestra pit was also introduced where member playing orchestra were placed between the stage and the audience to increase the distance between them. A technique called “Flats” was introduced to add depth to the scenes. The scenes were painted on the parallel wings and kept one behind others which make the performance more meaningful and attractive. This also allowed easier change of scenes, as the next scene was placed behind of present flat. Initially, bright light was used for auditorium which was then changed to dark theatres emphasizing the use of footlights and sidelights on the actor for the focus on a particular scene or person while performing. In early 18th century candles and candelabra were used for lighting which was then replaced by kerosene lamps and gas lamps by the end of the century. The oval shape of theatres was made for good acoustics and proscenium arch helped the actors to stay away from the noise made by the audience. The amplification of play was taken care of by the arched ceilings above the stage. Both rich and poor class people were there to enjoy the plays. The price of the ticket was varying which were a mixture of both cheap and expensive tickets. The wealthy aristocracy used to sit in boxes and the poor class people were made to sit at the top of galleries which were dirty and very hot. People use to consume food and alcohol in a large amount. They also kept with the rotten fruits and vegetables to be thrown at performance if they didn’t like it. 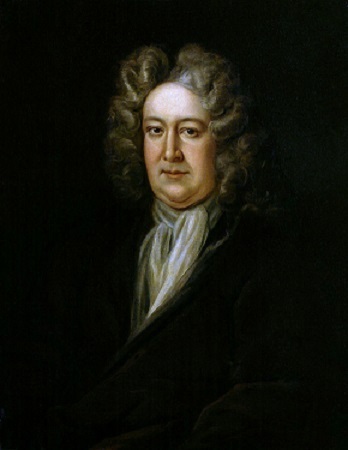 The supervisor of Drury Lane Theatre was Richard Steele from 1714 to 1718. He mostly wrote comedy-drama. But he was also the first one to change the tradition of Restoration style drama to the sentimental drama which brought out the features of private life. He was the first writer of his kind to edit twice the monthly theatrical journal ” The Theatre”. The Tragedy of Jane Shore in 1714 for Sarah Siddons. He also edited Shakespeare’s Plays in 1709 and then produced the full edition of his plays and also helped in stage direction while dividing the whole play into scenes. In 1715, he was honored as the Poet Laureate. 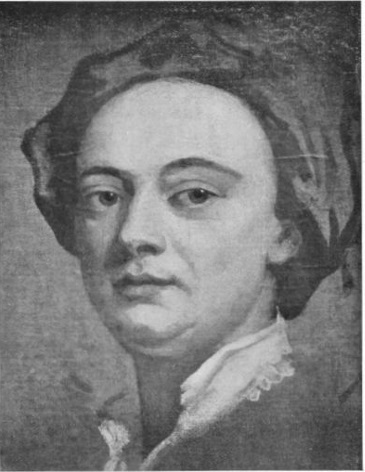 The writer of the most successful play “The Beggar’s Opera ” of 1722 was John Gay. He had a very good reputation and lived with a lenient lifestyle. The Beggar’s Opera is not only Opera but it is basically a play with songs. It was the first of its kind of English Theatre which is now known as “Musical Theatre”. The play consisted of Italian Opera and it targeted the upper class and compared them to criminals. He also another popular play “Libretto” whose music was composed by John Pepusch. Oliver Goldsmith who wrote “The Good- Natur’d Man” in 1768 and “She Stoops to Conquer” in 1773. Richard Brinsley Sheridan who wrote, “The Rivals” in 1775 and “The School for Scandal ” in 1777.